Citron Hi Antiox (Blend) - 4 oz. Contains ultra-high antioxidant level of 13.05% vs 5-6% for mass-market teas. 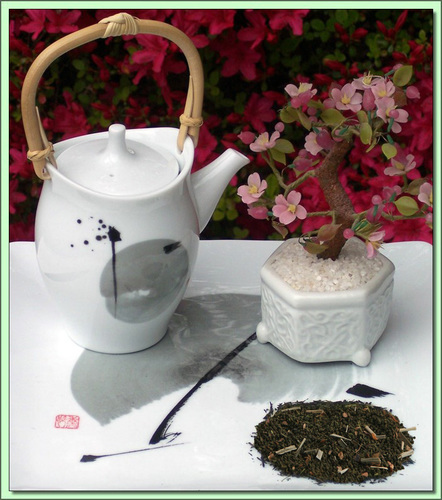 Ingredients: Luxury green tea, Natural dried lemon grass, Oven dried lemon peel. Hot Tea: This tea is best enjoyed by pouring 180F/90C water over the leaves (1 teaspoon) for 3 minutes (longer=stronger). Don't remove the leaves. Can be infused repeatedly 2-3 times using higher temperatures & shorter infusions until flavor is exhausted. Iced Tea: Pour 1 1/4 cups of hot water over 6 teaspoons of tea and steep for 5 minutes. Pour into pitcher while straining leaves, add ice and top up with cold water to make a quart of iced tea. Garnish and sweeten to taste.